Dr. Raenie Roberts was born and raised in Dallas, Texas. After graduating from high school, she received her Bachelor of Art degree in Anthropology from The University of Texas at Austin. Following college, she attended dental school at Baylor College of Dentistry in Dallas where she received her Doctor of Dental Surgery degree in 2003. While in dental school, Dr. Roberts worked on several research projects involving pain in the temporomandibular joint. She was chosen to represent Baylor College of Dentistry at the National Hinman Student Research Symposium where she presented her research to other dental students and dental educators. She was also elected to the Odontological Honor Society and to the prestigious Omicron Kappa Upsilon honor society. After dental school, Dr. Roberts followed in her father’s footsteps and was accepted into the orthodontic residency program at Baylor College of Dentistry; widely known as one of the top orthodontic residency programs in the world. During her 27 month orthodontic residency, she was involved in research and teaching while earning a Master’s degree. Her Master’s degree focused on factors that can help predict the future facial growth of patients. 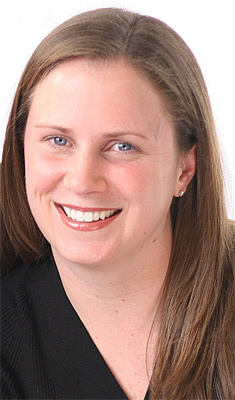 Since graduation from her orthodontic training program in 2005, Dr. Roberts has worked in a private practice setting. 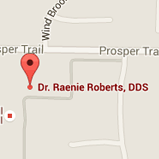 In March of 2009, she and her husband Dr. John Roberts, a Pediatric Dentist, opened their joint practice in Prosper, Texas. She and Dr. John enjoy living and working in Prosper, and have two children together. Their daughter Katherine was born in 2013, and they welcomed their son David in 2015. Dr. Raenie loves spending time with her family, traveling, and riding her horse Major. Call our office today to schedule an orthodontic consultation with Dr. Roberts, your Celina and Prosper, TX Orthodontist.